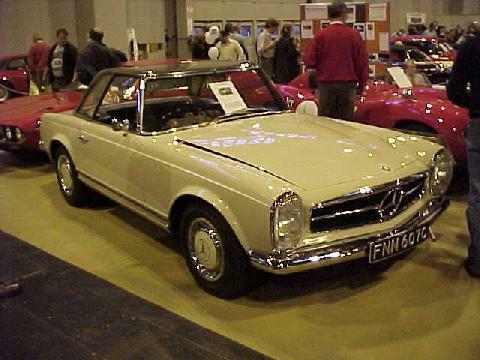 Following the successful, earlier SL models Mercedes launched a whole new range of sports/SL models in the 1960's, starting with the 230SL in 1963. 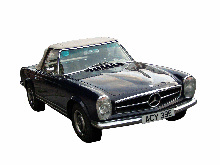 The 1967 250SL had a beautifully proportioned sports body which had two comfortable seats (a third, sideways facing seat was a popular SL option) and could be fitted with a distinctive (Pagoda Roof) Hardtop. 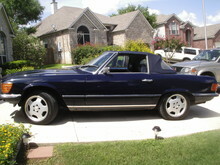 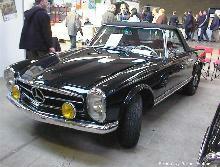 The 250SL used a 2496cc, six cylinder engine which had a new seven bearing crankshaft. 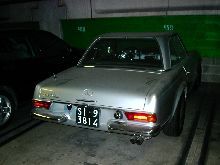 The engine featured fuel injection and could even be ordered with either an optional five speed manual or automatic transmission. 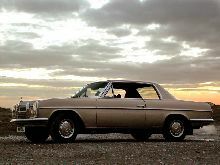 These attractive "SL" sportscars were highly regarded when new and are have remained sought-after classics ever since the last models were built in 1971.